Best Dog Training In Ventura County! Chew on your furniture and everything else? Escapes, ignoring your pleas to come home? Poorly behaved dogs can stress you out, causing you embarrassment and a lack of control. 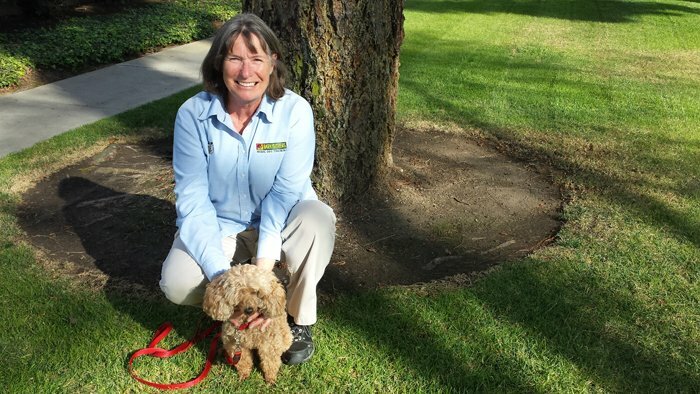 My name is Gail Major and I am your local Bark Busters dog trainer in Ventura County who can help you overcome any behavioral problem you are experiencing. I have helped hundreds of residents throughout Agoura Hills, Camarillo, Newbury Park, Oak Park, Oak View, Ojai, Oxnard, Port Hueneme, Santa Paula, Somis, Thousand Oaks, Ventura, Westlake Village to have well-behaved family pets. How do I know I can help yours? The Bark Busters training method has succeeded where other techniques have failed. 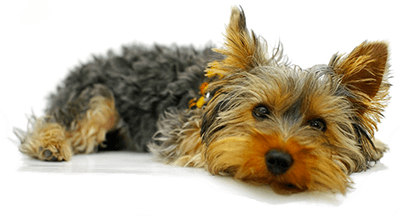 Dog training classes usually take a "one size fits all" approach and are targeted toward the "average dog". Other training programs rely on coercive methods like shock collars or prong collars to extort good behavior. At Bark Busters Ventura County, we rely on positive dog training methods based on the way dogs communicate with each other - the pack mentality. I come into your home where most of the bad behaviors occur and where your dog is the most relaxed and free from distractions. We will work on both inside and outside behaviors, addressing any issues you may have. Your dog will quickly learn what behaviors are acceptable and which are not. Your dog can't speak English and you can't speak dog, so it's no wonder your dog doesn't understand your commands. Using voice tones and your body language, I will teach you to establish yourself as the leader of the pack in a language your dog understands. Our first lesson will last approximately 3 hours and additional training can address any lingering issues. If you reinforce our techniques 10 - 15 minutes a day, you'll see awesome results after the first week. If you recently adopted a puppy, start him off on the right paw with dog training lessons and make housebreaking and basic obedience much easier. However, no dog is too old to learn new behaviors. I train older dogs, puppies, and dogs of any size or breed. Understand that your dog loves you and wants to please you - he just doesn't know how. I have been teaching Ventura County dogs to follow household rules for many years. I'm confident I can give you the tools and support you need for a lifetime of enjoyment and love with your family dog.